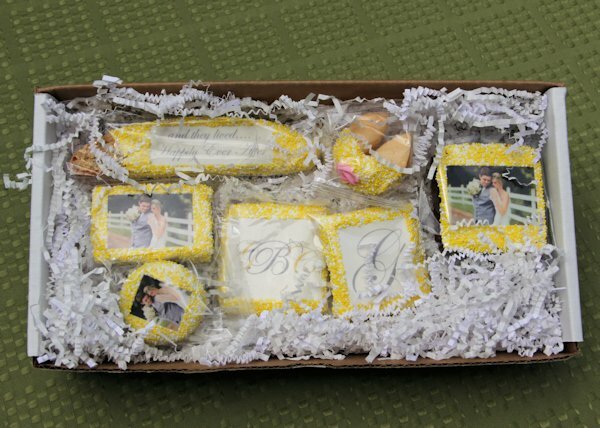 SHARE We've put together this pack with samples of our most popular edible favors (only those items who have item numbers starting with LF). 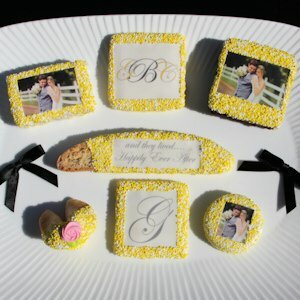 Included are one each of the following items - Wedding Oreo Picture Cookie, Wedding Gourmet Fortune Cookie, Wedding Biscotti, Wedding 2.5" Square Sugar Cookie, Mono-Graham Cracker, Picture Brownie and Picture Krispie. 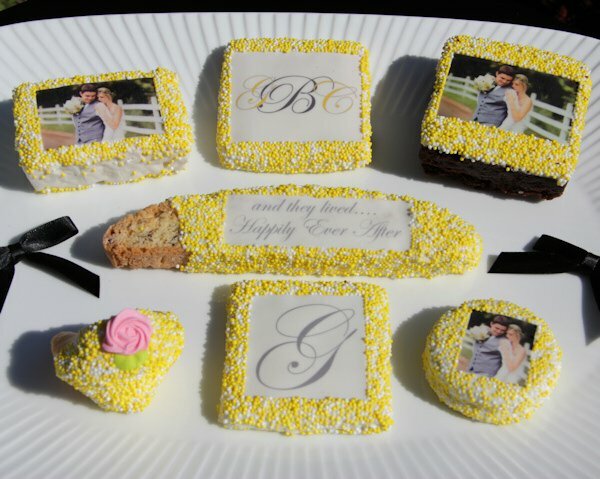 A great way to figure out which edible goodie you like best! Please reply to your order confirmation with your high resolution image attached for the 3 photo items.